They're just marketing strategies, backed by no research. 1. 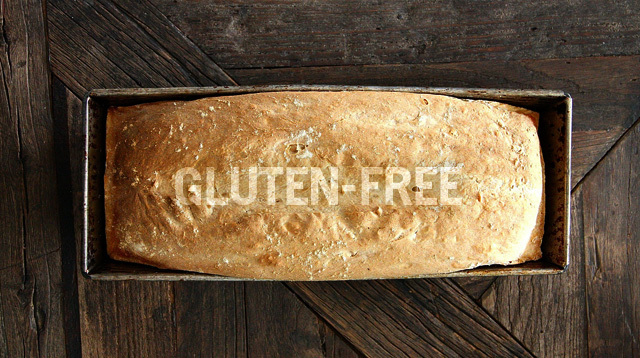 Go gluten-free! It’s healthier! Gluten-free food is not any healthier for most people. Gluten is only bad for you if you have celiac disease, because the gluten will destroy the part of the small intestine that absorbs nutrients from food. 2. Genetically modified organism (GMO) is bad for you. Scientists have found that GM food products don’t pose any harm to humans or animals. And there is barely any evidence that these have a negative impact on our environment. 1. They help farmers grow crops faster. In turn, we get more food, and at a cheaper price. 2. Farmers use less pesticide in planting, since GM crops produce their own. 3. They prevent the crop or food product from spoiling easily when being transported from farm to table. 4. Scientists have found that GMO crops are as safe, if not safer, than organic food. 3. “Organic” means the food is healthy. Eating organic food does nothing special compared to conventional food. What’s important is what you eat—that you eat fruits and vegetables—not whether the food is organic or not. 4. Consuming low-fat dairy, rather than full-fat, will make you slimmer. Recent studies found that people who eat full-fat dairy are no more likely to develop cardiovascular disease and type 2 diabetes than people who stick to low-fat dairy. Also, it’s not supported that low-fat dairy is healthier. You’re better off getting the full-fat dairy, since researches have shown that it’s less likely to contribute to obesity than low-fat dairy. Full-fat dairy makes you full sooner and longer, so you’ll eat less in the next few hours. 5. You need to detoxify your body by going on a juice cleanse. Detoxing is a just a marketing strategy that gullible people buy into. None of those companies or entrepreneurs can even specify what the toxins in our bodies are, if they’re even there. You yourself can’t detoxify your body, as in flush out the impurities in your organs. Assuming you’re healthy, the organs and systems in your body are already working and detoxifying perfectly; juice can’t make that any better. If you’ve done a juice cleanse and lost weight, it’s not because you lost toxins, but because you just drank juice for a week and ate nothing.